Giant Food Stores has partnered with Rabbit Transit to offer free transportation for its former West York customers. Giant Food Stores has partnered with Rabbit Transit to offer free transportation for its former West York customers to another one of its locations, according to a company news release. 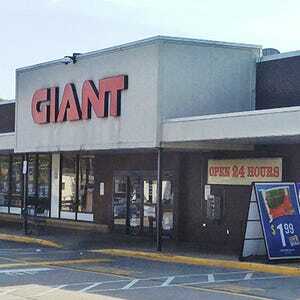 The West York Giant, which had operated at 1200 W. Market St. for more than 40 years, closed Saturday after the lease expired with no option for renewal. Starting Wednesday, Giant will offer free transportation through Rabbit Transit to its location at 1255 Carlisle Road, in the Delco Plaza. Dutch Kitchen, 381 W. Market St., at 9:45 a.m.
Shady Oaks, 252 W. College Ave., at 9:50 a.m.
Kingston House, 1243 W. King St., at 10 a.m.
Carriage Works, 50 S. Highland Ave., at 10:05 a.m. The shuttle will arrive at 1255 Carlisle Road about 10:15 a.m. and depart for its return trip at 11:30 a.m.